Tired of boring old images filling up your webpage? 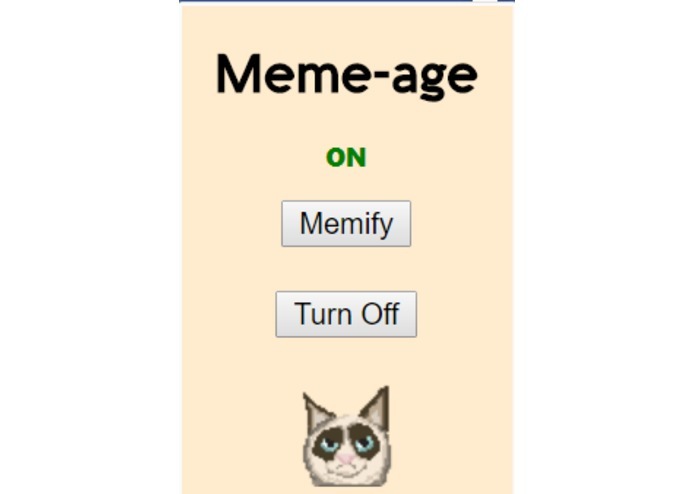 Turn on Meme-age to instantly "memeify" your page! 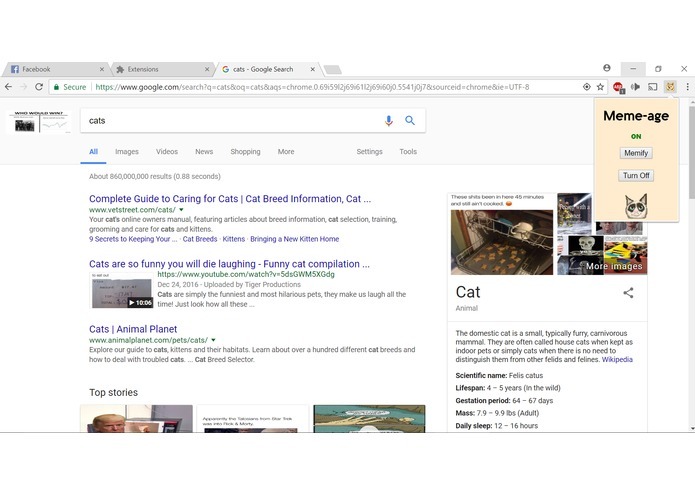 We wanted a way to spice up the usual web browsing experience. 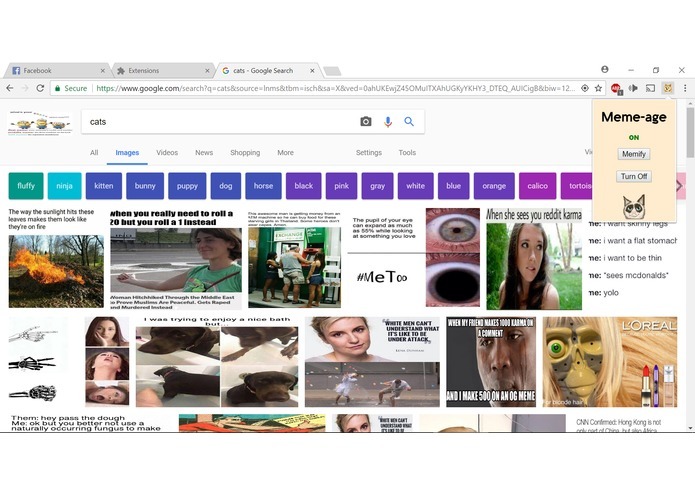 Meme-age is a chrome extension that with the click of a button, turns all the images on a page into 5 star quality memes for your entertainment purposes. We built it using html, css, and jquery. Logos were designed using GIMP. 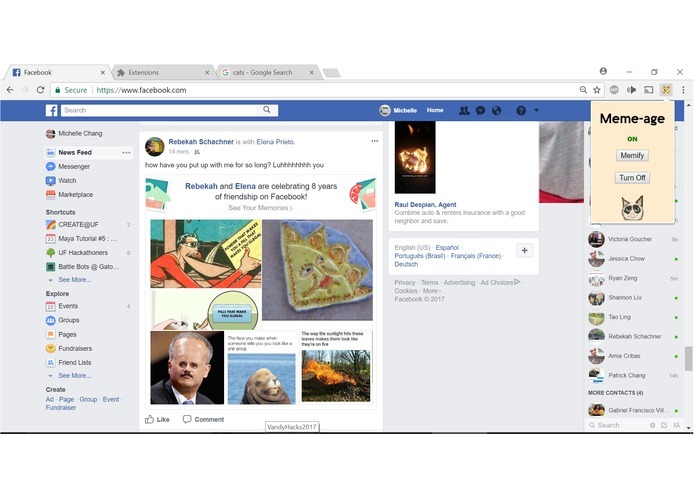 We originally wanted to be able to replace advertisements with memes but found it difficult to identify which elements of a webpage were actually ads. Creating something that works! Learning jquery and how to create a chrome web extension. Actually accomplish what we set out to accomplish which is replacing advertisements with memes.